Give your music the fashionable outlet it deserves with the WRS WP 2 Speaker Set by Well Rounded Sound. 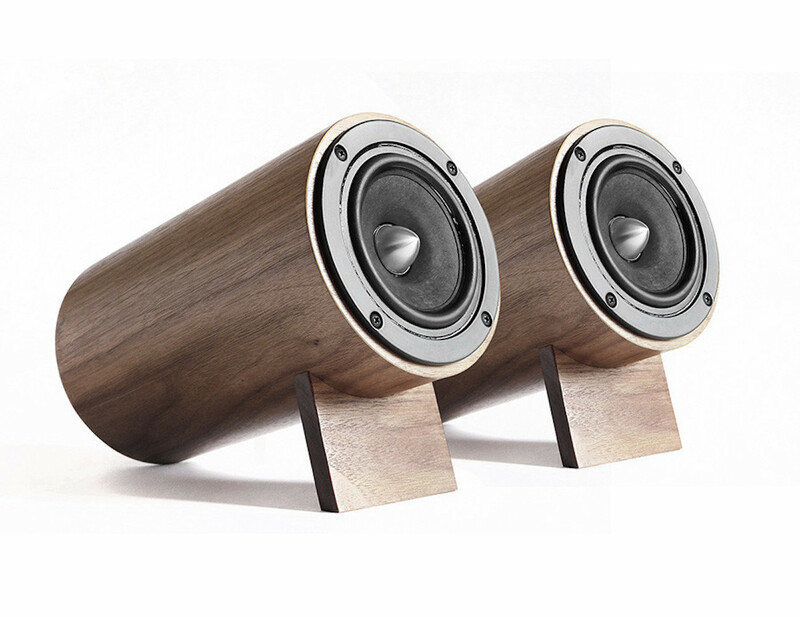 This sophisticated set of speakers comes in a beautiful American Walnut wood casing. 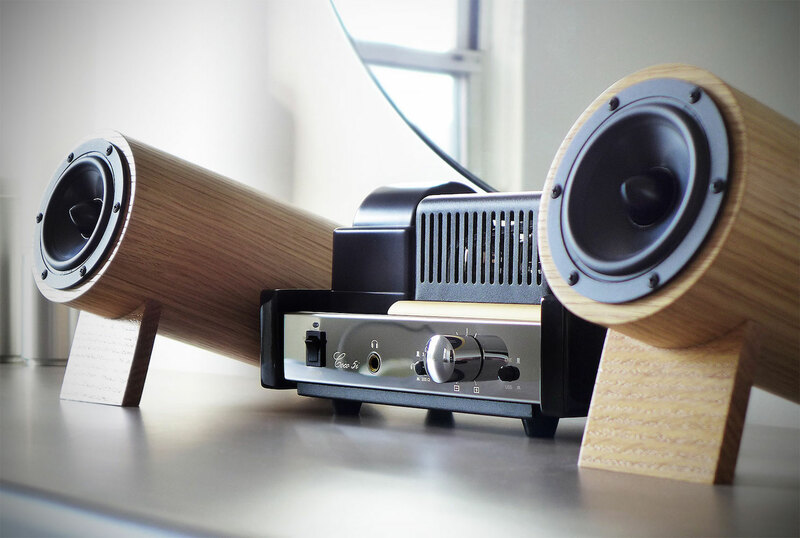 Inside the speakers is a 4-inch full range driver to reach frequencies as high as 21,000 Hz as well as a natural bamboo reinforced paper cone with exponential curve. 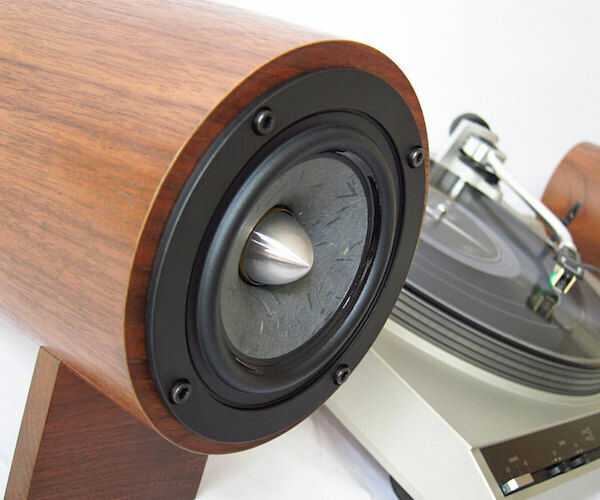 The entire speaker is sealed to ensure there is no distortion. The result from the WRS WP 2 is a 3D sound stage with incredible, crystal clear audio. 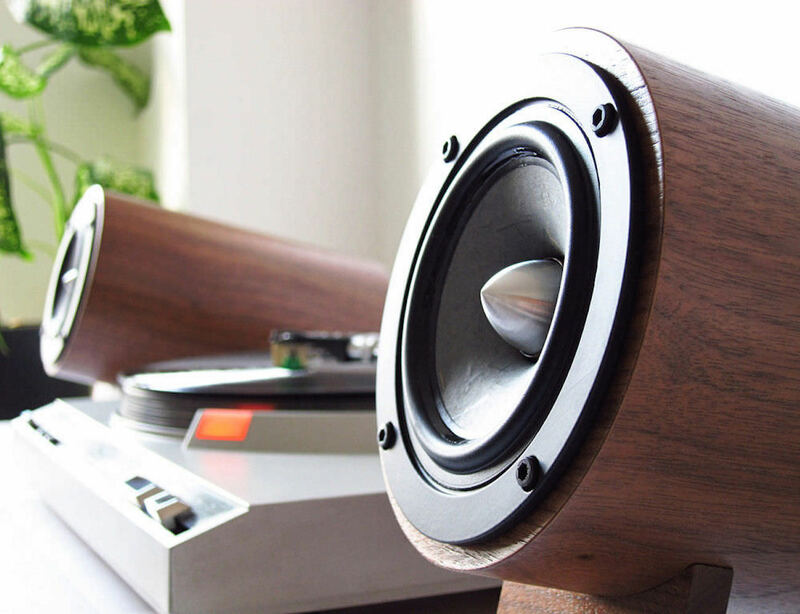 These cylindrical speakers are elegantly lifted off the table with another piece of solid American Walnut wood to create a minimalist yet fashionable finish. 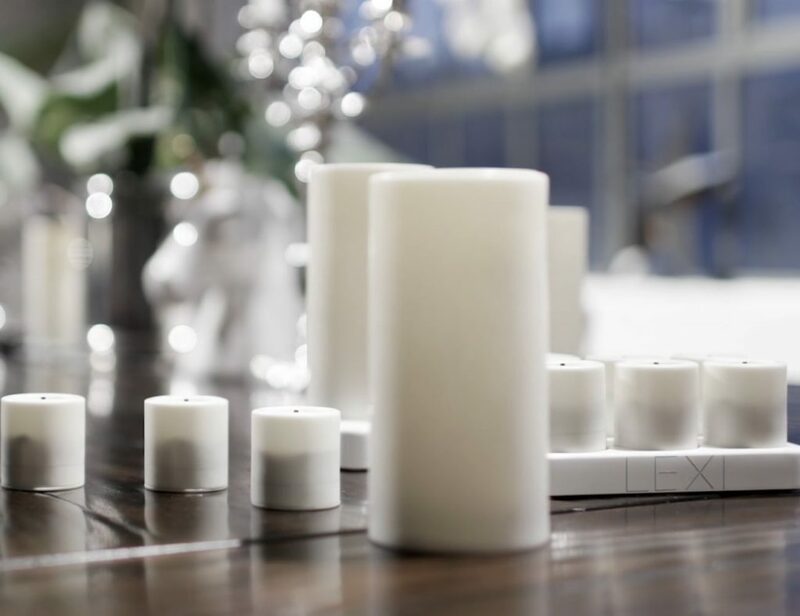 The WRS WP 2 Speaker Set is a beautiful addition to your home or office.